The use of telemonitoring and telemedicine is a relatively new but quickly developing area in medicine. As new digital tools and applications are being created and used to manage medical conditions such as heart failure, many implications require close consideration and further study, including the effectiveness and safety of these telemonitoring tools in diagnosing, treating and managing heart failure compared to traditional face-to-face doctor–patient interaction. When compared to multidisciplinary intervention programs which are frequently hindered by economic, geographic and bureaucratic barriers, non-invasive remote monitoring could be a solution to support and promote the care of patients over time. Therefore it is crucial to identify the most relevant biological parameters to monitor, which heart failure sub-populations may gain real benefits from telehealth interventions and in which specific healthcare subsets these interventions should be implemented in order to maximise value. Telehealth, telemedicine, heart failure management, remote patient monitoring, digital medical tools, telemonitoring. Heart failure (HF) is a common clinical syndrome associated with high morbidity and mortality. It is a major public health problem, with a prevalence of over 5.8 million people affected in the US, and over 26 million people worldwide.7 In the US and in Europe, HF prevalence ranges from 1.1 % to 2.2 % in the general population. Most of the HF burden is situated in people aged over 65 years, who account for more than 80 % of deaths and prevalent cases in the US and in Europe.8,9 The lifetime probability of developing HF is believed to be one in five. Some studies have shown that some interventions aimed at improving the management of patients with HF after hospital discharge, in particular, periodic monitoring of symptoms/signs and reviews of pharmacological therapy, are related to a significant decrease in hospital readmission rates.15,16 However, the heavy economic costs related to the systematic organisation of patient follow-ups after hospital discharge have pushed the development of remote monitoring systems for the continuous control of clinical variables, such as blood pressure, oxygen saturation, heart rate, electrocardiogram and intracardiac/pulmonary pressure. The implementation of these monitoring tools has been hypothesised to augment medical control over the unstable syndrome of HF in order to prevent decompensations and to concurrently gain time and resources when compared to traditional care. Prevention and treatment of disease exacerbations and promotion of patient self-empowerment are the main objectives of telemedicine in HF. Individual characteristics of patients with HF obtained from the analysis of a large number of EHR may allow the identification of those patients at higher risk of negative outcomes who could most likely benefit from individualised medical treatments. For example, the Seattle Heart Failure Model is an ML-based framework for calculating mortality risk in HF that examines multiple clinical features obtained from EHR to predict HF prognosis and incorporates the potential impact of HF therapies on patient outcomes.18 The Seattle Heart Failure Model was developed at the Mayo Clinic, where an ML risk prediction model was trained with routinely collected clinical data obtained from EHR. This decision support system showed a potential usefulness in the identification of patients with HF at higher risk of negative outcomes, but presented barriers to implementation (it was time consuming, expensive, required doctor familiarity with computers and did not account for clinical variables that could not be included as part of the collected data).18 Proper management of follow-up in HF patients is considered critical to reduce common causes of re-hospitalisation, that can lead to worse outcomes and increasing costs to patients and society.19 In this setting, ML techniques could be potentially valuable in remote monitoring of high-risk HF patients. In the SENSE-HF study, performed on patients with chronic systolic HF who had been implanted with cardiac implantable electronic devices (CIED), an intrathoracic impedence-derived fluid index (intrathoracic impedence was measured between the lead and the pace maker’s case) consistently showed low sensitivity and low positive predictive value for hospitalisation prediction.23 Other studies have assessed the effectiveness of remote monitoring through CIED (cardiac resynchronisation therapy with or without defibrillator function) in reducing clinical decompensations, overall mortality or hospitalisations in HF patients. In the Optimization of Heart Failure Management using OptiVol Fluid Status Monitoring and CareLink (OptiLink HF) study, conducted in ICD carriers with severe systolic HF randomised to have fluid status alerts or usual care, no significant effect was detected in the composite endpoint of all-cause of death and cardiovascular hospitalisations.26 Some authors have speculated that alerts may even be responsible for a delay in the detection of clinical deterioration, with a consequent postponement of appropriate treatment. Aside from CIED, the basic concept of care that is extended beyond traditional healthcare settings is also well captured by the phone call monitoring strategies wherein patient compliance, symptoms, vital signs, and weight are followed remotely.28–30 The Randomised Trial of Telephone Intervention in Chronic Heart Failure (DIAL) study was one of the first trials investigating structured telephone support (STS) in 1,518 HF patients randomised to an STS intervention group or to a control “usual care” group.15 In the intervention group, dedicated nurses phoned patients every 14 days and adjusted the frequency accordingly thereafter for a year. Predetermined standardised questions were used to assess dyspnea/fatigue, daily weight monitoring, oedema progression, dietary/drug compliance and physical activity. Nurses were only allowed to change the diuretic dose and recommend a non-scheduled medical consultation. Nurses used a computer-aided software system to keep a log of conversations and receive reminders for phone calls. All study subjects were followed at the study centres on a 3-month basis irrespective of unscheduled visits and phone calls. Most of these patients had systolic dysfunction and NYHA class II-III symptoms. Overall, the intervention group had fewer hospital readmissions both in the short term and even at 1–3 years after stopping intervention. Mortality was similar in both groups. At the end of the study the intervention group had a better quality of life score than the usual care group. Similarly, in a meta-analysis, Inglis et al. reviewed 16 studies investigating STS interventions and detected a non-significant trend towards improved mortality with STS versus usual care (RR 0.88 [95 % CI 0.76–1.01], p=0.08), but a significant 23 % reduction of HF hospitalisations (RR 0.77 [95 % CI 0.68–0.87]).31 Of the 16 studies considered, six reported improved quality of life with STS in both overall and physical scores on the Minnesota Living with Heart Failure Questionnaire and on the Kansas City Cardiomyopathy Questionnaire. The Trans-European Network – Home-Care Management System (TEN-HMS) study attempted to identify whether home telemonitoring was able to improve outcomes compared with nurse telephone support and usual care.33 Home telemonitoring consisted of twice-daily patient self-measurement of weight, blood pressure, heart rate, and heart rhythm with automated devices linked to a cardiology centre. The structured telephone support consisted of specialist nurses who were available to patients by telephone. Primary care physicians delivered usual care. The primary endpoint was days lost for death or hospitalsation with nurse telephone support (NTS) versus home telemonitoring (HTM) at 240 days. At the end of the study, the number of admissions and mortality were similar among patients randomly assigned to nurse telephone support or home telemonitoring. Patients randomly assigned to receive usual care had higher 1-year mortality than patients assigned to receive NTS or HTM, but with a weakly meaningful difference (p=0.032). A smaller study by Goldberg et al.34 reported a 10.4 % absolute and 56.2 % relative reduction in mortality in a monitoring system using only symptoms and weight monitoring. Findings from two Cochrane meta-analyses including studies up to 201537,38 have shown that, compared with usual care, STS can reduce all-cause mortality at a follow-up of 6–12 months, and can reduce HF-related hospitalisations. The recent Better Effectiveness After Transition – Heart Failure (BEAT-HF) study,39 one of the largest trials in telemonitoring in HF, also needs to be mentioned. This is a multicentre randomised controlled trial conducted at six academic medical centres in California, which compared usual care with a telehealth-based care transition intervention for older patients (n=1457, median age 73, 664 [46.2 %] female, 316 [46.2 %] African-American) discharged home after in-hospital treatment for decompensated HF. Patients assigned to the telemonitoring intervention group were scheduled to receive nine telephone coaching calls over a 6-month period, generally from the same nurse, who had access to patient medical histories and medication records. All telephone calls covered content reinforcing the pre-discharge education materials. Patients were asked to use the telemonitoring equipment daily to transmit their weight, blood pressure, heart rate, and responses to three questions about symptoms, which were sent via cellular bandwidth to a secure server and accessed daily by the telephone call centre nurses. Readings that exceeded predetermined thresholds triggered nurses to telephone the patient so that they could investigate potential causes. When symptoms were of concern, patients were encouraged to contact their health call centre. Nurses also called patients who had stopped transmitting data to determine why and to encourage them to resume daily monitoring. Only 61.4 % (439 of 715) and 55.4 % (396 of 715) of patients randomised to the intervention were more than 50 % adherent to telephone calls and telemonitoring. This study, characterised by very poor adherence, found that a combination of remote patient monitoring with care transition management did not reduce all cause readmission at 180 days after hospitalisation for HF when compared to usual care. Hospitalisations in the first 30 days and 180-day mortality were also not reduced with telemonitoring intervention. In summary, randomised clinical trials about telehealth interventions in HF have disclosed conflicting results regarding the ability of these interventions to reduce mortality and hospitalisation rates. Trials comparing remote telehealth interventions to usual care are nonetheless hardly comparable because of differences in the remote interaction processes, choice of monitoring systems and measured variables.43 Even in the most recent trials, little information is available on which specific therapeutic interventions have been adopted in response to abnormal changes of vital parameters and which measures have been taken to check whether patients were able to understand and follow the instructions received. Therefore, a large heterogeneity exists among current studies designs and outcomes because of the use of different monitoring techniques and differences among the clinical profile of the patients studied. For example, of the four different non-invasive remote monitoring strategies employed (STS, telemonitoring, videophone and interactive voice response device), only STS and telemonitoring have demonstrated in a few studies a reduction in all-cause mortality and HF-related hospitalisation.37,38 Moreover, although several clinical trials and two meta-analyses have demonstrated a benefit with the above strategies in mortality reduction and in HF-related hospitalisations, the impact of STS and telemonitoring in HF is not univocally considered to be cost-effective. Nevertheless, when compared to the uncommon chance of access to multidisciplinary intervention programs, that is frequently hindered by economic, geographic and bureaucratic barriers, non-invasive remote monitoring may be a solution to support and promote the care of HF patients over time, especially during the tricky early discharge phase after a hospitalisation. In view of the above-reported complex and heterogeneous literature, it is crucial to identify the most relevant biological parameters to monitor, which HF sub-populations may gain real benefits from telehealth interventions and in which specific healthcare subsets these interventions should be implemented in order to maximise their value. For example, a meta-regression analysis on the effectiveness of telehealth programs in patients with chronic HF showed significantly greater effectiveness in reducing mortality and hospitalisations in HF patients at higher risk.44 Another metaanalysis related the lowest mortality index for telehealth programs in HF with the promptness of feedback actions (interventions performed within 1 day of a change in the patient’s vital signs). Moreover, the complex literature on telehealth also seems marked by methodological issues, like publication bias and poor recruitment in clinical trials.45 For example, in the TELE-HF study, 14 % of patients assigned to telemonitoring never used the system and by the final week of the study period, only 55 % of the patients were still using the system at least three times a week.33 As an appropriate adherence to a given intervention can contribute to an adequate external validity of the studies, improvement of adherence represents a key element of the future research on telehealth. Telemedicine is believed to have the potential to improve costs related to healthcare.1 Direct-to-consumer telehealth, such as patient–physician meetings via videoconference, may become an efficient way to deliver care as it could reduce costs to both the patient (e.g. travel expenses, work loss, etc.) and healthcare systems. Nonetheless, the scientific literature lacks studies in good methodological quality about the comprehensive economic evaluations of telehealth services. A recent review on the cost/effectiveness of telemedicine use in chronic HF concluded that, without full economic analyses, the cost-effectiveness of telehealth interventions in chronic HF remains very difficult to be reliably determined.46 Otherwise, a recent sensitivity analysis showed that cost savings of telehealth programs are most sensitive to patient risk (i.e. more cost-effective in higher risk patients).47 This further underlines the importance of an adequate risk stratification of patients included in clinical studies on telehealth. A recent study analysed commercial claims data on 300,000 patients to explore patterns of spending for acute respiratory illnesses. The study concluded that direct-to-consumer telehealth may increase access to care by making it more accessible and convenient for some patients, but at the same time it may also increase utilisation and healthcare expenditure.49 In the above study, costs were lower for patients who underwent direct-to-consumer telehealth visits but increased overall because of a noticeable rise in the number of new utilisations. The authors estimated that only 12 % of direct-to-consumer telehealth visits replaced visits to other providers, but 88 % were new utilisations.49 Despite the above concerns, no sufficient and reliable evidence is available about cost-effectiveness of telehealth services, and therefore no informed decision at a policy level about delivery of such services will be well-grounded until evidence becomes available. A recent policy statement of the American Heart Association on telemonitoring-based management of HF has suggested that effective programs need timely data, appropriate staff, and a feedback loop to patients with sufficient empowerment to understand and follow the proposed interventions.50 Participation of patients to the HF care process is a basic need for the success of any management program and particularly for a telemonitoring-based approach. Self-management support may be a key to the implementation of telehealth models and requires the active participation of patients. For example, in a qualitative study led with interviews, it was observed that non-video telehealth technologies fostered the sharing of personal information and a non-judgemental attitude in patients, but each contact between a telehealth professional and a patient required a skilful negotiation of the relationship to engage the patient as an “expert of their own illness”.51 In addition, it has been pointed out recently that HF selfmanagement may be associated with reduced hospital admissions only in a subgroup of patients with HF (i.e. patients under 65 years of age), whereas in other subgroups (patients with moderate or severe depression), involvement in self-management may be even associated with a reduced survival rate.45 Again, careful stratification of patients enrolled in clinical studies seems to be a pivotal pre-requirement for a valuable application of telehealth to different healthcare contexts. In recent times, technological developments have expanded to the medical sector, with the ambitious objective to gain a dominant role in the future of healthcare improvements. Some authors,52 in the wake of evidence-based medicine, but also according to ethical primum non nocere and economic issues, have highlighted that new technologies, such as telehealth models, should be evaluated in methodologically sound and reproducible studies and compared to usual care before being approved and implemented in medical practice. Nonetheless, even this may turn out to be an insufficient approach. Indeed, Greenhalgh et al,52 by recalling the principle of the philosopher Heidegger that technology has its maximum value when it helps achieve “what matters to us”, have underlined that the use of technological tools in healthcare must be only considered in the precise context of the physical, material and symbolic spaces in which they are applied and perfectly embedded in the social and cultural contexts in which they must operate. This perspective could overcome the old dichotomy between “high tech” and “high touch” and potentially lead to the development of technologies that are natural extensions of both the patient’s and doctor’s intents and are not felt by users as obligations or as a waste of time. The essential premise for any technological solution applied to health is the real (not theoretical or experimental) fulfilment of individual needs for whom that product had been conceived. This implies a shift from standard blinded “one size fits all” models to open personalised ones. We believe that such perspective represents a necessary starting point for future research on telehealth that is focused on a real supporting role for suffering people. Dorsey ER, Topol EJ. State of telehealth. N Engl J Med, 2016;375:154–161. Topol EJ, Steinhubl SR, Torkamani A. Digital medical tools and sensors. JAMA. 2015;313:353–4. Dredge S. Yes, those free health apps are sharing your data with other companies. The Guardian, 3 September 2013. McCarthy M. Experts warn on data security in health and fitness apps. BMJ 2013;347:f5600. Till C. Exercise as labour: Quantified self and the transformation of exercise into labour. Societies 2014;4:446–62. Barcena MB, Wuesst C, Lau H. How safe is your quantified self? Mountain View, CA: Symantec, 2014. Roger VL. Epidemiology of heart failure. Circ Res 2013;113: 646–59. Croft JB, Giles WH, Pollard RA, et al. Heart failure survival among older adults in the United States: a poor prognosis for an emerging epidemic in the Medicare population. Arch Intern Med 1999;159:505–10. Rich MW. Heart failure in the 21st century: a cardiogeriatric syndrome. J Gerontol A Biol Sci Med Sci 2001;56:M88–M96. Van Riet EE, Hoes AW, Wagenaar KP, et al. Epidemiology of heart failure: the prevalence of heart failure and ventricular dysfunction in older adults over time. A systematic review. Eur J Heart Fail 2016;18:242–52. Maggioni A, Orso F, Calabria S, et al. ARNO Observatory. The real-world evidence of heart failure: findings from 41 413 patients of the ARNO database. Eur J Heart Fail 2016;18:402–10. Cowie MR, Anker SD, Cleland JGF. Improving care for patients with acute heart failure. Oxford PharmaGenesis 2014. Butler J, Braunwald E, Gheorghiade M. Recognizing worsening chronic heart failure as an entity and an end point in clinical trials. JAMA 2014;312:789–90. Seibert PS, Whitmore TA, Patterson C, et al. Telemedicine facilitates CHF home health care for those with systolic dysfunction. Int J Telemed Appl 2008;235031. GESICA Investigators. Randomised trial of telephone intervention in chronic heart failure: DIAL trial. BMJ 2005;331:425. Leslie SJ, Denvir MA. Clinical decision support software for chronic heart failure. Crit Path Cardiol 2007;6:121–6. Levy WC, Mozaffarian D, Linker DT, et al. The Seattle Heart Failure Model. Prediction of survival in heart failure. Circulation 2006;113:1424–33. 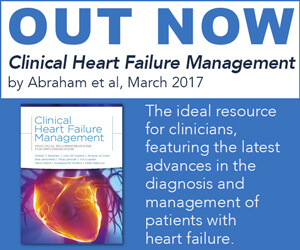 Mohammadzadeh N, Safdari R, Rahimi A. Multi-agent system as a new approach to effective chronic heart failure management: key considerations. Healthc Inform Res 2013;19:162–6. Ponikowski P, Voors AA, Anchor SD, et al. Acute and chronic heart failure. ESC Clinical Practice Guidelines. EHJ 2016;37:2129–200. Zile MR, Bennett TD, St John Sutton M, et al. Transition from chronic compensated to acute decompensated heart failure: pathophysiological insights obtained from continuous monitoring of intracardiac pressures. Circulation 2008;118:1433–41. Anand IS, Tang WH, Greenberg BH, et al. Design and performance of a multisensor heart failure monitoring algorithm: results from the Multisensor Monitoring in Congestive Heart Failure (MUSIC) study. J Card Fail 2012;18:289–95. Viviane M. Conraads, et al. Sensitivity and positive predictive value of implantable intrathoracic impedance monitoring as a predictor of heart failure hospitalizations: the SENSE-HF trial. Eur Heart J 2011;32:2266–73. Landolina M, Perego GB, Lunati M, et al. Remote monitoring reduces healthcare use and improves quality of care in heart failure patients with implantable defibrillators: the Evolution of Management Strategies of Heart Failure Patients With Implantable Defibrillators (EVOLVO) study. Circulation 2012;125:2985–92. Hindricks G, Taborsky M, Glikson M, et al. Implant-Based Multiparameter Telemonitoring of Patients with Heart Failure (IN-TIME): a randomised controlled trial. Lancet 2014;384: 583–90. Böhm M, Drexler H, Oswald H, et al. Fluid status telemedicine alerts for heart failure: a randomized controlled trial. OptiLink HF study investigation. Eur Heart J 2016;37:3154–63. Morgan JM, Kitt S, Gill J, et al. REM-HF trial. Remote management of heart failure using implantable electronic devices. Eur Heart J 2017. epub ahead of press. Bichindaritz I, Vaidya S, Jain A, Jain LC. In: Computational intelligence in healthcare 4: advanced methodologies. Heidelberg, Germany: Springer; 2010. Jerant AF, Azari R, Nesbitt TS. Reducing the cost of frequent hospital admissions for congestive heart failure. A randomized trial of a home telecare intervention. Med Care 2001;39:1234–45. D’Anker S, Koehler F. On the horizon of heart failure. Lancet 2011;378:637. Inglis SC, Clark RA, McAlister FA, et al. Which components of heart failure programmes are effective? A systematic review and meta-analysis of the outcomes of structured telephone support or telemonitoring as the primary component of chronic heart failure management in 8323 patients: Abridged Cochrane Review. Eur J Heart Fail 2011;13:1028–40. Chaudhry SI, Mattera JA, Curtis JP, et al. Telemonitoring in patients with heart failure. N Engl J Med 2010;363:2301–09. Cleland JG, Louis AA, Rigby AS, et al. Noninvasive home telemonitoring for patients with heart failure at high risk of recurrent admission and death: the Trans-European Network- Home-Care Management System (TEN-HMS) study. J Am Coll Cardiol 2005;45:1654–64. epub ahead of press. Goldberg LR, Piette JD, Walsh MN, et al. WHARF Investigators. Randomized trial of a daily electronic home monitoring system in patients with advanced heart failure: the Weight Monitoring in Heart Failure (WHARF) trial. Am Heart J 2003;146:705–12. Koehler F, Winkler S, Shieber M, et al. Impact of remote telemedical management on mortality and hospitalizations in ambulatory patients with chronic heart failure. The telemedical interventional monitoring in heart failure study. Circulation 2011;123:1873–80. Koehler F, Winkler S, Schieber M, et al. Telemedicine in heart failure: pre-specified and exploratory subgroup analyses from the TIM-HF trial. Int J Cardiol 2012;161:143–50. Inglis SC, Clark RA, McAlister FA, et al. Structured telephone support or telemonitoring programmes for patients with chronic heart failure. Cochrane Database Syst Rev 2010 Aug 4;(8):CD007228. Inglis SC, Clark RA, Dierckx R, et al. Structured telephone support or non invasive telemonitoring for patients with heart failure. Review. 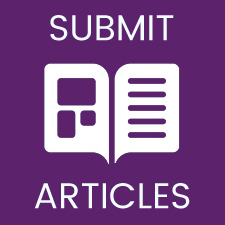 Cochrane Database of Systematic Reviews 2015, Issue 10. Art. No. CD007228. Ong MK, Romano PS, Edginton S, et al. Effectiveness of remote patient monitoring after discharge of hospitalized patients with heart failure: The Better Effectiveness After Transition – Heart Failure (BEAT-HF) Randomized Clinical Trial. JAMA Int Med 2016;176:310–8. Piotrowicz E, Piepoli MF, Jaarsma T, et al. Telerehabilitation in heart failure patients: The evidence and the pitfalls. Int J Cardiol 2016;220:408–13. Piotrowicz E, Baranowski R, Bilinska M, et al. A new model of home-based telemonitored cardiac rehabilitation in patients with heart failure: effectiveness, quality of life and adherence. Eur J Heart Fail 2010;12:164–71. Piotrowicz E, Zielinski T, Bodalski R, et al. Home-based telemonitored Nordic walking training is well accepted, safe, effective and has high adherence among heart failure patients, including those with cardiovascular implantable electronic devices – a randomized controlled study. Eur J Prev Cardiol; 2015;22:1368–77. Dierckx R, Inglish S, Robyn AC, et al. Telemedicine in heart failure: new insights from the Cochrane meta analyses. Eur J Heart Fail 2017;19:304–6. Xiang R, Li L, Liu SX. Meta-analysis and meta-regression of telehealth programmes for patients with chronic heart failure. J Telemed Telecare 2013;19:249–59. Greenhalgh T, A’Court C, Shaw S. Understanding heart failure; explaining telehealth – a hermeneutic systematic review. BMC Cardiovasc Disord 2017;17:156. Grustam AS, Severens JL, van Nijnatten J, et al. Cost effectiveness of telehealth interventions for chronic heart failure patients: a literature review. Int J Technol Assess Health Care 2014;30:59–68. Kahn JM. Virtual visits — confronting the challenges of telemedicine. N Engl J Med 2015;372:1684–5. Ashwood JS, Mehrotra A, Cowling D, Uscher-Pines L. Direct-toconsumer telehealth may increase access to care but does not decrease spending. Health Aff (Millwood), 2017;36:485-91. Schwamm LH, Chumbler N, Brown Ed, et al. Recommendations for the Implementation of Telehealth in Cardiovascular and Stroke Care. A Policy Statement from the American Heart Association. Circulation 2016. PMID 27998940. epub ahead of press. Heckemann B, Wolf A, Ali L, et al. Discovering untapped relationship potential with patients in telehealth: a qualitative interview study. BMJ Open. 2016;6:e009750. Greenhalgh T, Procter R, Wherton J, et al. What is quality in assisted living technology? The ARCHIE framework for effective telehealth and telecare services. BMC Med 2015;13:91.